of a basement flat - 4thstorey before! – but a new, if old, camera, too. So please bear with me. 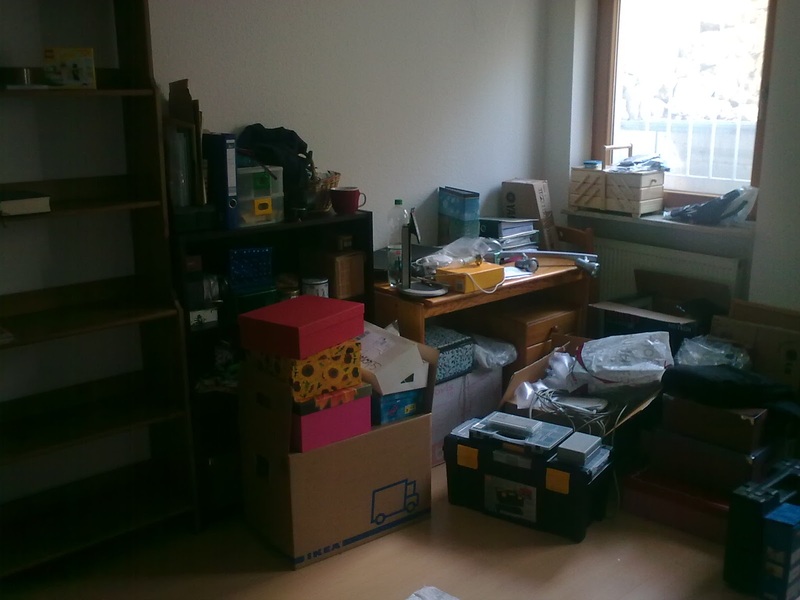 Here’s a “before” look at my corner of the “office”. It’s already been cleaned up a bit but not yet looking quite “after”. I’m not actually sewing at the desk as I still prefer our dining table in the living room. Yep, this means I’ve been sewing! 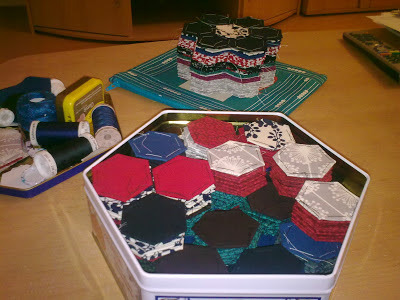 For one, I’ve basted all my hexies, thus, turning my box into a magical hexagon bon bon land. 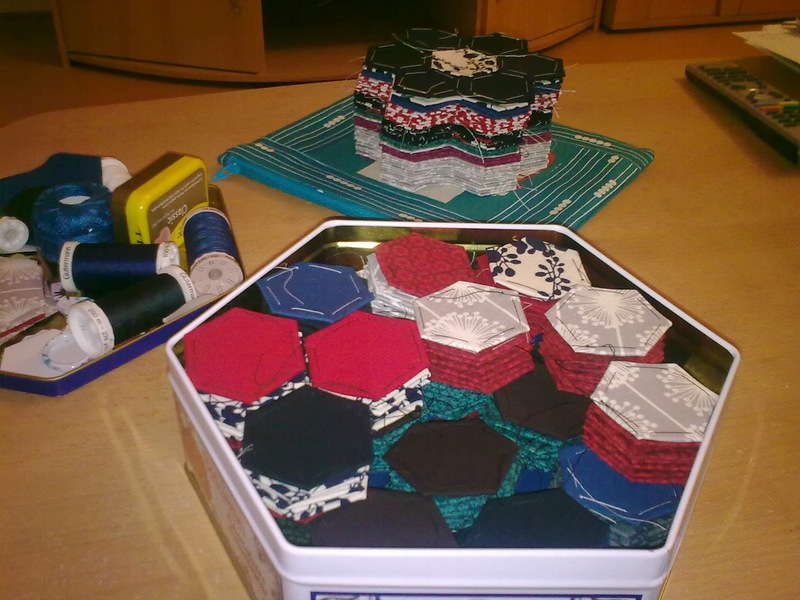 These stacked hexies will be made into 38 flowers! 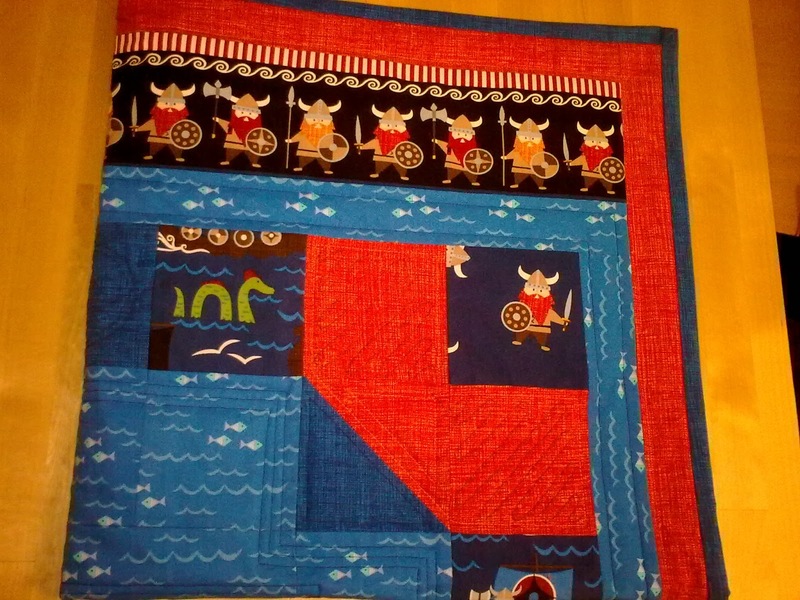 Even more exciting, I’ve spent a good amount of time hand quilting the Viking baby quilt and finished it a day before the arrival of the little one was announced two weeks ago. It was a daunting enterprise at first, hand quilting that is, but I’m even more in love with this quilt because of the details now. Here’s a sneak peak, more to follow in a separate post. I have been wondering how you were going with unpacking. Such a huge job! I am still purging and yet to pack a box but some things have gone into storage already. I am excited to see your sewing and quilting projects close up. Enjoy. Your visit with your sister. Glad you made it and are settling in! 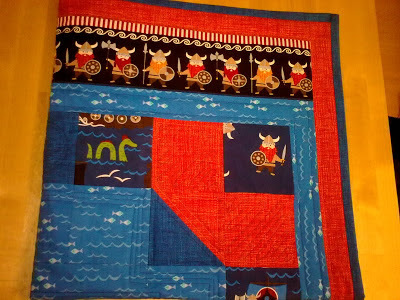 Can't wait to see your entire viking quilt, and that is a lot of hexie goodness! I just started basting some hexies the other day so we'll see how quickly I get them done :) Good luck continuing to unpack!